Come for the skiing and stay for the shopping, dining, and culture. When you envision Aspen, you may picture a quaint mountain town in Colorado, and it is. Yet Aspen is culturally rich far beyond its diminutive size, making it the ideal place for a spectacular weekend girls’ trip. If your idea of a perfect place to visit is surrounded by nature, and full of vibrant art, intriguing history, and more, look no further than to this scenic retreat nestled in Colorado's Rocky Mountains. From high-end shopping to wide-open ski runs, live music, and top-notch eats, this town checks off all the essentials for a successful girls’ trip. Follow along with our Girls’ Weekend Guide to Aspen to learn more. Looking to plan a girls' trip for a weekend getaway or an unforgettable bachelorette party? There are many reasons why your girl gang should explore the ins and outs of Aspen. 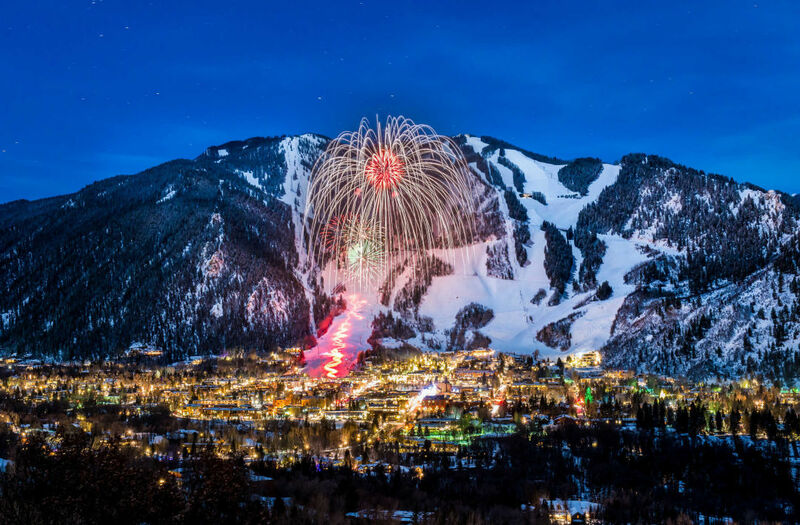 Aspen is a unique area since it brings big-city offerings to a mountain enclave surrounded by pristine natural spaces, making it a hot spot for fine dining, outdoor recreation, and live events. Attracting cultural buffs and nature lovers alike, Aspen is a national and cultural icon of Colorado. 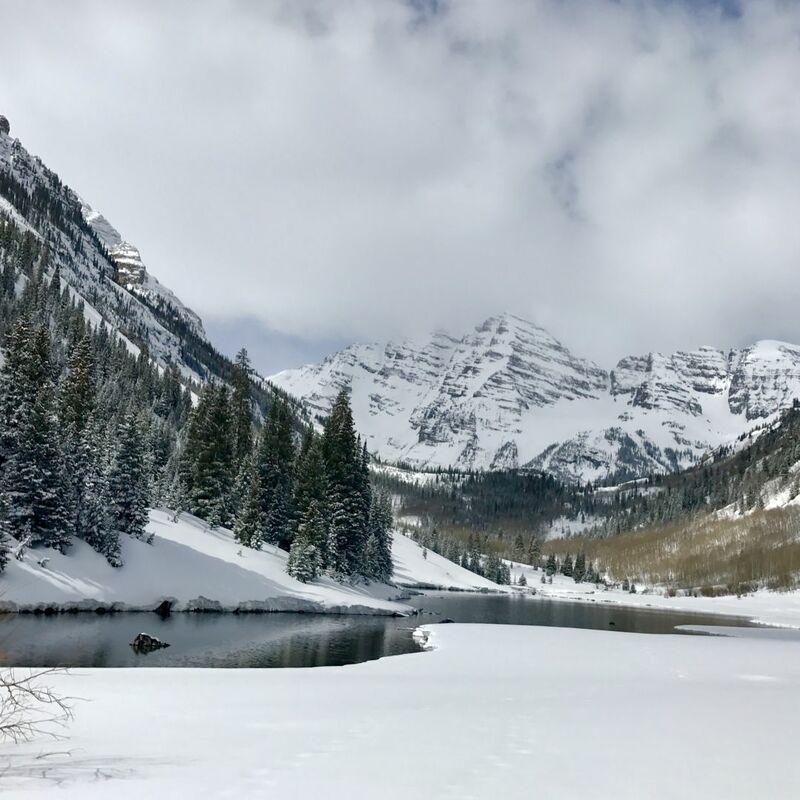 The biggest challenge travelers face when heading to Aspen in the winter is dealing with snowy weather: deciding whether to fly into Aspen or Denver, and, if into Denver, navigating mountain roads. If you're traveling with a group, consider arranging a private shuttle from Denver Charter Bus Company. A professional charter bus rental helps streamline travel plans by coordinating larger parties into one vehicle or caravan, providing enough additional storage space for outdoor recreational equipment, and simplifying transportation. While it may feel like a luxury, a private charter will transport your group to all of your travel destinations with ease, while allowing you to relax and enjoy every stop on your girls’ trip itinerary—now that sounds like a vacation! To make the most out of your trip, read through this list of five places to visit with your girlfriends in Aspen. If there’s one thing Aspen is known for, it’s skiing. 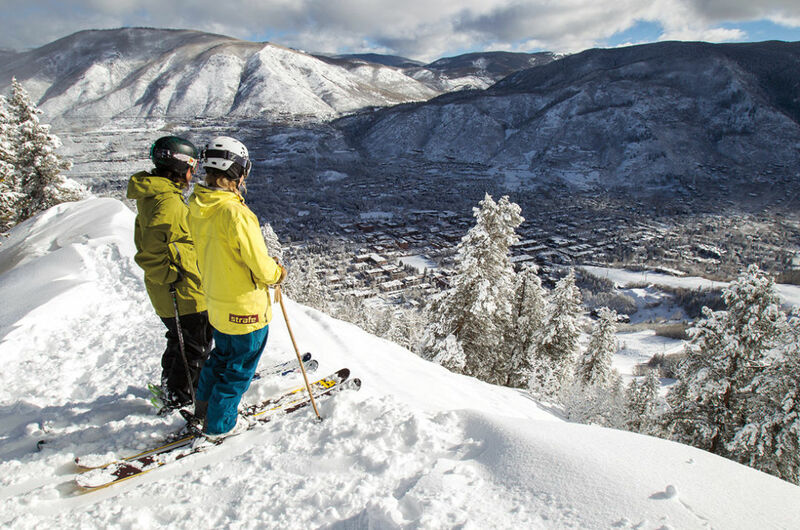 Options include Aspen Mountain, Buttermilk, Snowmass, and Aspen Highlands. Try a new area each day, or take advantage of your built-in transportation and check off a couple of mountains in one day; your lift pass is transferable between all four. With more than 5,000 skiable acres across the four mountains, classes for all interests and abilities, and incredible on-mountain dining, if you like to ski, this is the place to do it. Since you have a designated driver for your group, be sure to make the most of the robust après-ski scene, too. These mountains are the most photographed in the US, and once you see them, you'll understand why. The road to the Bells is closed to vehicular traffic in the winter, but you are welcome to hike, snowshoe, Nordic ski, or ride a snow bike the 6 miles (each way) to Maroon Lake. Another option; book a snowmobile tour operated by T-Lazy-7 Ranch. The two-hour guided tour includes jaw-dropping views and a hot chocolate break. If you’re looking for a relaxing getaway from all the action on the slopes, treat yourself to a gals’ shopping trip at luxury boutiques like Gucci, Fendi, Prada, and Ralph Lauren, as well as local shops such as Pitkin County Dry Goods and the Ute Mountaineer. Make sure to stop in at Aspen's world-renowned art galleries, too. Spend your day or an afternoon wandering through the streets of town and along the popular pedestrian malls as you weigh your purchases. Later, after dressing up in your best "Aspen casual" duds head to Bosq, one of the most innovative restaurants in town. 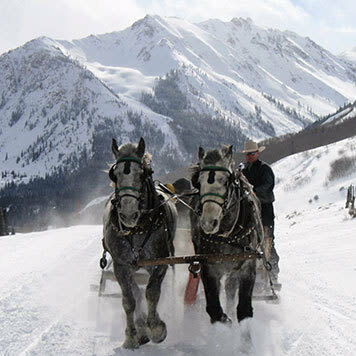 These hardworking horses are pulling the sleigh to the Pine Creek Cookhouse in Ashcroft. Have your driver take you to nearby Ashcroft, a former mining town that was once home to 3,500 people. Now the ghost town serves as the meeting spot for your scenic horse-drawn sleigh ride (warm blankets are provided) to the Pine Creek Cookhouse. The remote log cabin is nestled in the Elk Mountains with incredible views and delicious food for both lunch and dinner. After warming up by the wood stove, you'll enjoy a meal of local game, freshly caught fish, and locally-sourced, organic ingredients. Check the schedule and buy tickets early for the chance to experience your favorite bands and big-name acts in an intimate setting. Belly Up Aspen has a full menu, hosts 300 shows a year, and holds a maximum of 450 people. Once the show is done, your private charter will whisk you back to your hotel. If you are arriving in Denver and plan to make your way to Aspen on your next trip to Colorado, save yourself the hassle of driving, and contact Denver Charter Bus for the most relaxing ride to town. A private bus driver can transport your group with ease, including fun stops along the way, allowing you to travel through Colorado in comfortable style.